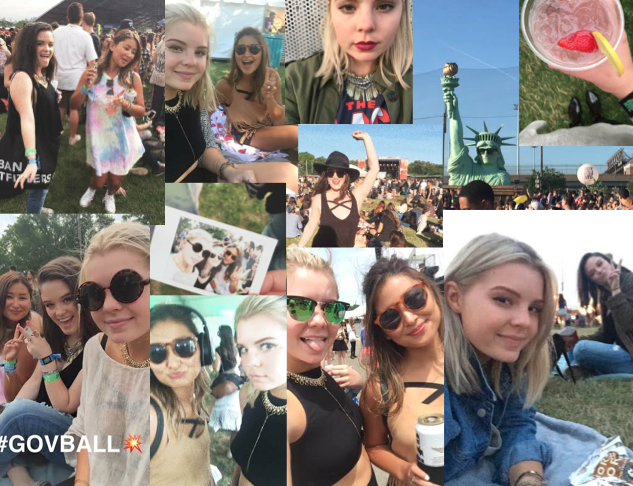 During my first weekend back in the city, my roommates and I got the chance to go to one of New York’s music festivals – Governors Ball, on Randall’s Island. One of the big reasons I wanted to go to this was because one of my ALL TIME favorite bands were playing – THE BLACK KEYS!!!!!! Sorry for the yelling. But I was extremely excited you guys. Of course I was pumped to see the other acts as well, there were some pretty big names! I’ll break it down by day to make it easy. 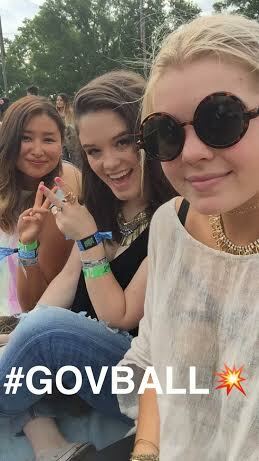 Friday June 5 – This was the first day of Gov ball! My roommates and I headed to the ferry around 12, because who we really wanted to see wasn’t performing until around 4, and luckily we left early because we got there just in time!! Names you might know that performed that day were Charlie XCX, Future, Chromeo, Vance Joy, Odesza, Florence + The Machine, St. Vincent, Ratatat, My Morning Jacket, and DRAKE. Such a fun day it was, I must say the best acts were Vance Joy, Odesza, and Florence. Be still my heart to Florence, so wonderful. Saturday June 6 – Saturday was a pretty full day, with big acts again. We didn’t roll up until around 2, since we were extremely tired from the night before. But we did get there just in time to get some yum truffle grilled cheeses! Oh, and to have a tasty drink the size of my hand that was $23…….I held that drink with my life. 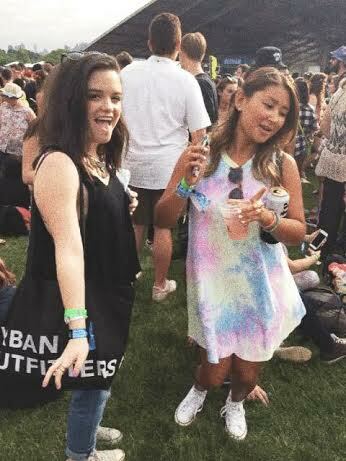 Besides going to the concerts, we also participated in different events around the Gov ball grounds. Our favorite was Silent Disco – everyone was in a tent, and were given headphones that played various techno music with whichever DJ was in. It was SICK. Not even kidding, some of the best fun was had there. The actual artists we hear that day were Clean Bandit, Marina and the Diamonds, Kiesza, Little Dragon, Bjork, Flume, SBTRKT, Deadmau5, and Ryan Adams. All so good. Sunday June 7 – This literally was the day I had been waiting for. I can’t even begin to explain my excitement. We were lazy again getting to the venue, but we did get there in time to see Echosmith – who was SO good. We spent more time at Silent Disco, and just kind of relaxed on the grounds. I got a coconut filled with coconut water, which was new and exciting! The bands we saw were Hermitude, Weird Al, Big Gigantic, [I didn’t see her-due to conflicts] but Lana Del Ray was in attendance. Sadly my roomate had to leave, but ~obvi~ I was staying for The Black Keys. They did not disappoint, not one bit. It was such a fun weekend, filled with music and friends, gourmet truffle grilled cheeses and $20 drinks – but oh so worth it. See ya next year Gov Ball. Posted on September 13, 2015 September 13, 2015 by flancake13	This entry was posted in Uncategorized. Bookmark the permalink.